Climate action is far too critical to be left only in the hands of our current decision makers. As the bearers of climate change’s ever-worsening impacts, the youth must be given every opportunity to play a role in the shift towards sustainable lifestyles and climate change adaptation and mitigation. As the future thought-leaders of their generations as well, it is important that they be able to cultivate a climate change lens, a way of viewing the world such that climate change wholly grounds and colors their every decisions, rather than functioning as a kind of prosthetic that can be easily detached. This was the goal of the Oscar M. Lopez Center’s partnership with the Hong Kong University – Common Purpose Leadership Development Program. Common Purpose is a global leadership development organization that runs programs across the world, seeking to inspire and equip people to work across boundaries. In line with this, from June 13 to 28, 2017 , we hosted an undergraduate internship program that would engage eight HKU students in various aspects of climate change-related activities. One group of interns, comprised of Joy Pamnani, Neema Senthil Kumar, Yongqing San, and Shavonne Wong, were asked to answer the question, “what makes a climate change leader?” To do this, they interviewed notable personalities working in varied streams of climate change, from scientists and journalists to private sector and civil society leaders. The impressive roster of interviewees included Naderev “Yeb” Saño, Greenpeace Southeast Asia Executive Director, Atty. Therese “Niner” Guiao, negotiator for the Philippine delegation to the UNFCCC Conference of the Parties, and our own scientific director, Rodel Lasco, PhD, among others. In identifying the commonalities among these climate leaders, it was hoped that the students would see the traits needed in the best decision makers, regardless of what aspect of the inherently cross-sectoral climate change work those traits were applied to. 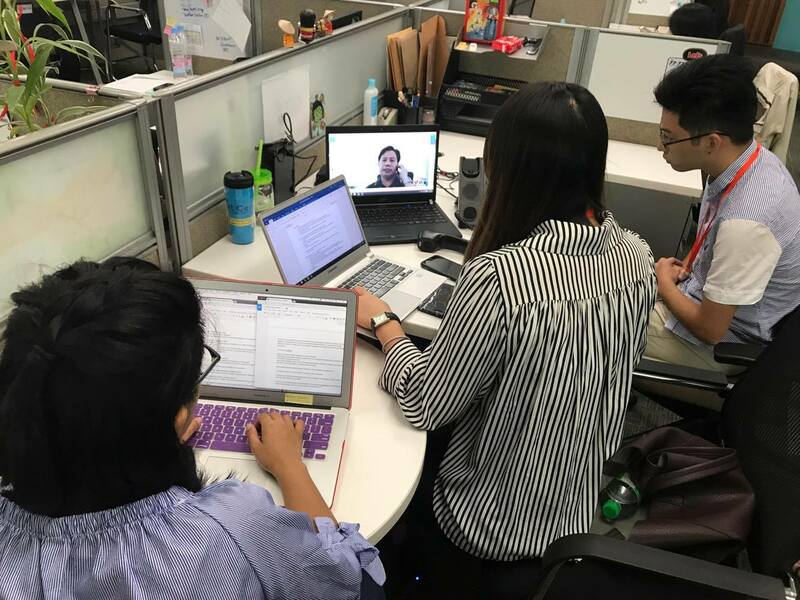 The second group, made up of Shubhankar Agrawal, Michaela Gallardo, Kyung Ju Lee, and Rongze Tang, were tasked with developing and proposing a new marketing strategy for the OML Center’s Resilience Grants program. Their target goal was to increase awareness of the program and, it follows, the number of proposals the Center receives. After completing interviews with past grantees to determine the needs and gaps in current grants marketing campaigns, the students pitched a comprehensive plan that would see the Resilience Grants further entering the digital space and making use of various online platforms–a strategy that we will now look into adopting. The two-week internship culminated in a synthesis session in which all groups presented their learnings to their peers and to a panel. 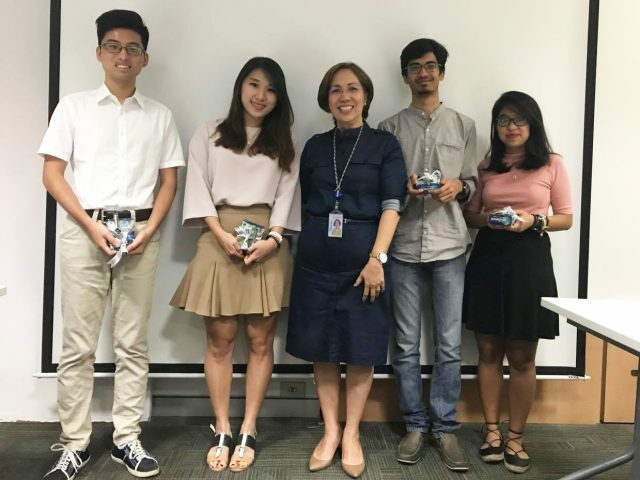 Other organizations and companies that hosted HKU interns include Philippine Business for Social Progress, Conservation International, and Solutions Using Renewable Energy, among others.